University Advancement is launching a Summer Internship Program as we seek to increase and diversify the number of professionals in educational advancement. This program is designed to attract undergraduate students may not have previously considered a career in the variety of roles and career specialties in advancement work. It will help determine for the student if this is a potential career path for them, gain networking contacts and references, and learn what it is like to be a professional member of the advancement field. The breadth of the experience will provide interns with an overview of advancement in higher education and the role it plays in supporting the university, current students and potential students. Resume worthy project-based work that is designed to move our work in advancement forward. All interns will be responsible for a final presentation regarding this project to a relevant group of University Advancement employees. This could be a large team meeting, an ELT meeting, or a small group of relevant team members. For projects that have a research component, the student may apply for academic credit for the project that incorporates hands-on experience. All students, including those traditionally under-represented in advancement, are encouraged to apply. In general, rising juniors and seniors are preferred because of their better course preparation, but we will also consider rising sophomores who have enough course/work experience to benefit from this program. Students should have relevant skills or course work related to the projects for which they apply. Pay: As an hourly employee, each intern will receive an hourly wage of $12 an hour equating to roughly $4,800 over the course of the internship. Please choose up to 3 projects listed below & submit one application with your resume & cover letter using the link below by the deadline in order to be considered. This project will result in growing our understanding of national research as it relates to engaging identity and affinity-based alumni and will allow for initial steps to assess current programming and to suggest new programs that will lead to the creation of baseline metrics to better understand the effectiveness of our work. The focus will be for the intern to learn about and document national best practices as it relates to affinity/identity alumni engagement and to complete a project that situates those best practices within the current engagement offering at W&M. This baseline research will then be applied to our current offerings (W&M Women, 1775, LGBT, HWA, Y.G., Latinx) in terms of strengths, weaknesses, opportunities and threats (SWOT analysis). While in the position, the intern will be provided with an opportunity to participate in engagement offerings, create and publish social media content for these constituents, and learn about the funding models for our work. The project will help move advancement forward by focusing on a large alumni affinity population; roughly 31% alumni participated in a Greek organization and 28% of the current student population is affiliated with a Greek organization. Our goal would be to have the intern help us through the creation and testing phase of the project. We will be executing research on past fraternity and sorority participation, creation of assets, FAQ documents, website, social media content and direct marketing materials. Given this project is a product of the Annual Giving Board (Participation Committee), the intern will be exposed to working with a board chair via sitting through conference calls with the Director of Direct Marketing and the participation board chair. be exposed to working with a board chair via sitting through conference calls with the Director of Direct Marketing and the participation board chair. 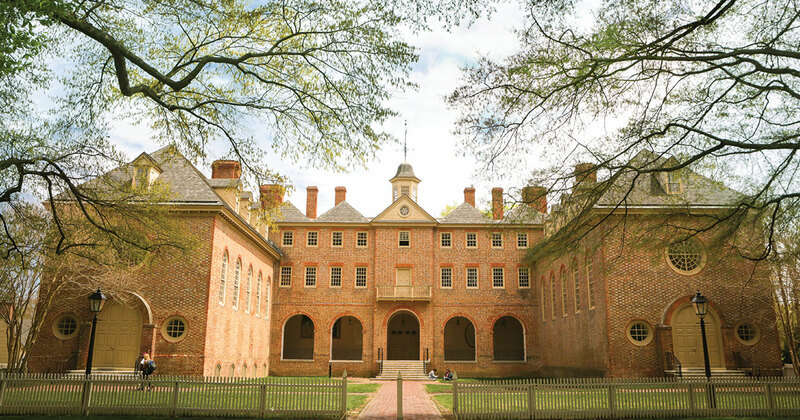 University Marketing & Advancement Communications is submitting this proposal for a summer intern to join a cross-functional team working to develop the William & Mary Athletics’ brand in conjunction with the rollout of its strategic plan. This intern will have the unique opportunity to work alongside Advancement, Athletics and University Communications professionals. They will be specifically focused on researching strategic plan deployment, crafting recommendations for platforms to present the plan to broad audiences (digital: web, interactive PDF, etc) and pitching their recommendations to the branding working group. Additionally, this position will contribute to the development of a robust messaging toolkit which will be a key component of the branding guidelines document. The intern will gain invaluable experience crafting messaging for a diverse stakeholder group including but not limited to student athletes, coaches, administrators, alumni, ticket holders and donors. This opportunity pairs a significant research component with practical application resulting in a body of work for adoption and use by Athletics. All aspects of this internship will provide tangible elements for the student to include in their professional portfolio. For an aspiring higher education marketing professional, this practicum will help a student refine their skills in the subject matter area while also becoming well-versed about the intersection between institutional branding and institutional advancement. The Volunteer Engagement Summer Intern will gain experience in a multi-pronged approach to annual giving with a focus on student and young alumni philanthropy. 1. The Volunteer Engagement Intern will work closely with the Assistant Director and Coordinator for Student Philanthropy and Recent Graduate Engagement to provide a holistic experience for alumni during Class Ambassador Academy, the weekend of June 7-8, 2019. This weekend is aimed at engaging Class Ambassadors and any volunteer alumni who are able to provide outreach to their classmates to initiate our end of fiscal year outreach programming. The Intern will be on-site to coordinate event registration, catering, space logistics, pairing of people with lists for outreach, and assist with guest speakers, and activity coordination such as tours of other spaces and group activities. The Intern will provide the debrief for CA Academy recapping the day’s activities, general items to re-create the event for future years, defining how we might be able to improve upon the current program and build it as a cornerstone engagement piece for both our exceptional philanthropic volunteers, but as a pivotal outreach piece for our alumni participation. The Intern will develop the project handbook for CA Academy. 2. Additionally, June 12th will be an all-staff outreach day, which the Intern will work closely with the Director of Volunteer Engagement and the FYE Committee in order to prepare and coordinate for the day: build spreadsheets for outreach, coordinate tables, be on hand to assist with on-site registration, event needs, as well as manage work-flow coordination of outreach lists and efforts, plus post-outreach coordination with contact report flow and completion of outreach. The Intern will participate in the event debrief and will develop the project handbook for this event moving forward. 3. Working closely with the Student Philanthropy team, the Intern will work to improve the ways in which we capture our Students for University policies and procedures, making sure that they align with current best practices in the industry, as well as setting standards to remain a trendsetter. The Intern will build out a comprehensive Students for University Advancement Manual, while providing fieldwork for our summer Tag Day preparations, including, but not limited to sourcing sites for tag placement and coordination of outreach efforts with students, student groups, campus partners, facilities management, and defining the current needs of the program in relation to Students for University Advancement, updating best practices for items leading up to the week, and planning out the project handbook for this pivotal event in our philanthropic outreach and educational programming. The Intern will also take initiatives to begin recruitment processes for our Senior Class Gift Committee, a vital effort in relation to our pursuit of increased alumni participation, as those students who give to the senior class gift will count toward our overall alumni participation numbers. Social media is constantly evolving and best practices and trends change almost daily. In order to best communicate our message with our current social media audiences across varying platforms we need to be sure our outreach is relevant and effective. The social media intern will provide needed resources and a fresh perspective to update and improve our social media content and strategy via analysis of our current accounts, research of best practices, assist in building compelling content and provide recommendations for new approaches. The social media intern will audit the WMAlumni and ImpactWM social media accounts. Utilizing social media and web analytics, the person filling this position will review our social media channels for efficacy, as well as evaluating our methods in light of industry trends. This audit will focus on Facebook, Twitter, LinkedIn and Instagram (particularly Instagram Stories). The social media intern will assist in day-to-day content curation, contribute to social media posts and ideas, assist with managing the content calendar and help generate a library of evergreen photos and videos to use on social media throughout the year. Research best practices and strategy in accordance with industry standards, and create specific recommendations for the WMAlumni and ImpactWM social media accounts. Utilizing market research, industry trends and previous analysis of the social channels (II.a. ), the social media intern will evaluate efficacy of content for each social media channel and recommend methods to increase reach and follower count for both sets of accounts. In addition, they will help determine new ways to incorporate and highlight various campaign efforts such as Affording Opportunity into our existing platforms. d. What will the student gain from the experience? The intern will become familiar with social media best practices, and gain experience creating, presenting and implementing social media strategy at a high level. The intern will learn how to write for social media in a professional setting and will develop a portfolio of social media posts and multimedia content. Additionally, the intern will gain experience working with internal partners (in Alumni Engagement and Direct Marketing) – taking direction, performing research, creating content strategy, and providing feedback to/receiving feedback from partners. Finally, the work experience will provide the intern with a practical, hands-on understanding of how social media is used in higher education, which will be useful for both post-graduate research and future employment. The Office of Scholarships & Special Projects seeks an intern to create and implement a new initiative to improve our stewardship and engagement of past major donors to scholarships. The short-term goal of this initiative is to improve major donors’ understanding of the impact of their named expendable and endowed scholarships. The long-term goal is to help secure their renewed support for scholarships between now and the end of the For the Bold campaign and ideally for years to come. The intern will report to the Senior Director of Scholarships & Special Projects and work closely with members of the Stewardship & Donor Relations team. The intern’s first step will be to work with the Senior Director and the Stewardship team to develop a list of existing expendable and endowed scholarships whose stewardees would benefit from enhanced communication. Priority will be placed on donors who have 1.) contributed to large expendable scholarships and therefore do not receive consistent annual reports, or 2.) created endowed scholarships and have potential to renew their support before the close of the campaign. In setting these priorities, the Senior Director and intern will seek input and feedback from the Regional & International Advancement team and other frontline gift officers. The intern will review samples of scholarships impact reports from University Advancement and other institutions and incorporate best practices into a new template. The intern will research and complete approximately 25 scholarships impact reports for distribution by relevant gift officers. The intern will also assist the Senior Director with an ongoing review of previously-created “In Honor of” and “In Memory of” scholarships for opportunities to seek additional gifts. The intern will collaborate with the Senior Director and the Direct Marketing team as appropriate to develop and implement re-solicitation strategies for these funds. Finally, the intern will work with the Senior Director and Stewardship team to refine and improve the strategy for outreach to student scholarship recipients to increase their participation in completing profiles and sending thank you notes to donors in the 2019-2020 academic year. The intern will review and edit incoming student profiles to prepare them for donor distribution and to help the Senior Director identify candidates for feature stories and speaking engagements on the impact of scholarships. As we eye the successful conclusion of our campaign, For the Bold, it is essential for stakeholders across Advancement to coordinate and execute a strategic planning process with the end goal of creating an inspiring and impactful campaign closing. To that end, we will need additional support from an intern whose sole focus will be on research, data collection and compilation of campaign assets such as photography, videos, infographics and impact stories. The campaign closing serves as an important stewardship tool, with the goal for our top donors to fully realize the impact of their support in carrying the campaign forward. For this reason, we will need an intern who can dig deep into what assets could be utilized to appeal to our most loyal and generous supporters. The successful closing is an essential undertaking that not only showcases the impact of the campaign on all our people but also serves as a platform for the university to steward its donors as it prepares for the next fundraising endeavor. This project will enable Advancement to develop a comprehensive recognition plan for endowed professorships. In addition to creating an effective tracking system for faculty selected as endowed professors, the intern will also work with schools and units to conduct an audit of current donor recognition efforts for endowed professorships. Ultimately, Advancement will implement a new strategy to acknowledge all donors to endowed professorships, likely through an event that involves faculty across campus who hold the positions. Successful completion of these goals will result in more formal and uniform engagement with both faculty who hold endowed positions and donors supporting those academic areas. As the university seeks to raise more money for endowed professorships, effective stewardship of donors will be essential to the effort. The Alumni House expansion project has a little over a year left before construction is expected to be complete. However, with the recent increase in the price tag of the project, it is essential for University Advancement to find new and innovative ways to fundraise for this endeavor – particularly for the Family Courtyard. On another front, the Alumni Leadership Fund (ALF) remains confusing to our alumni since it is hard for them to grasp what the fund is utilized for and the name does not clearly articulate its purpose. There remains a lot of opportunity for growth with regard to fundraising for ALF and in our opinion, efforts have been hampered by the misalignment of the name with its mission. There is also confusion between the Fund for W&M (FWM) and ALF, and it is often assumed that the FWM covers expenses, such as Homecoming, that are actually funded by ALF. • Assist with the strategic implementation of current fundraising, communications and marketing plans for two important but competing priorities for the Alumni Association. • Working with others, conduct research to help identify prospects for the Family Courtyard and naming opportunities, and assist in execution of written, verbal and direct mail solicitations. • Conduct research and focus groups to help us better align the Alumni Association’s unrestricted fund with its overarching mission and ensure that its name and purpose resonate with our alumni. • Research different segments for the ALF solicitations and writing the direct appeals that incorporate those segments. The Diversity & Inclusion Committee (D&I) Summer Intern will provide analytical and project support for our D&I programs, fiscal year 2019 initiatives, as well as providing insight to build programming for fiscal year 2020, helping to realize initiatives and other goals or objectives aligned to our long-term D&I Strategic Plan. 1. The D&I Intern will work closely with D&I’s Executive Subcommittee to support D&I specific initiatives within University Advancement (UA). Data analysis skills will be used to make recommendations on areas of focus for increased impact. a. The Intern will support newly created subcommittees in their functions with our ongoing efforts to heighten awareness of UA’s D&I programming. This can include policy or procedure reviews, researching benchmarks and best practices, coordinating events or meetings, preparing recommendations, etc. Recommend report modifications or builds to ensure accurate data is identified, pulled and analyzed as it relates to UA’s program and efforts. c. Analysis and research on various topics, such as professional development, recruitment diversity, and related areas. d. Support UA’s full D&I Committee with topical research, administrative or project management duties for various activities and/or scheduled events. 2. The Intern will assist in the preparation of UA’s annual D&I Survey and annual presentation at our All Staff Meeting in October, applying research and best practices as part of the analysis of the survey results as the Intern’s final deliverable.